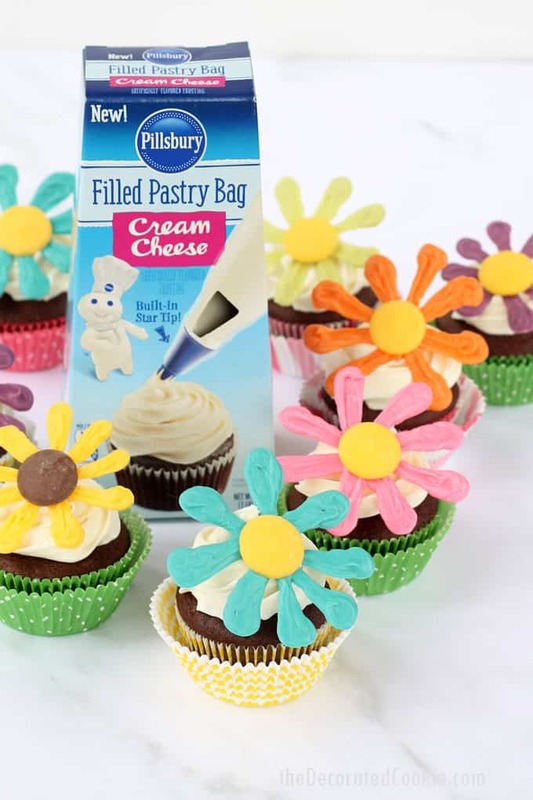 These colorful summer flower cupcakes are a cinch to make with the new Pillsbury™ Filled Pastry Bags. This is a sponsored conversation written by me on behalf of the J.M Smucker Company ™. The opinions and text are all mine. 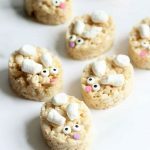 One of my all-time favorite treats to make? Cupcakes with swirled frosting on top. When I spotted these Pillsbury™ Filled Pastry Bags on the shelves at Walmart, I actually gasped out loud. Seriously. My daughter was in the shopping cart and was concerned for my well-being. When I make cupcakes, I use a star tip. Now you can purchase Pillsbury Filled Pastry Bags with star tips already on. So, I don’t ever want to see you spreading frosting on a cupcake with a boring spatula ever again, OK? Because creating a fancy swirl of frosting on your treats is now easier than using a spatula. 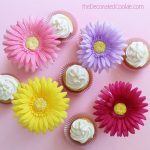 Then, you can add any holiday or party-themed topper to your perfect cupcakes, just like I did with these summer flower cupcakes. And you will get all the oohs and aahs from your guests. 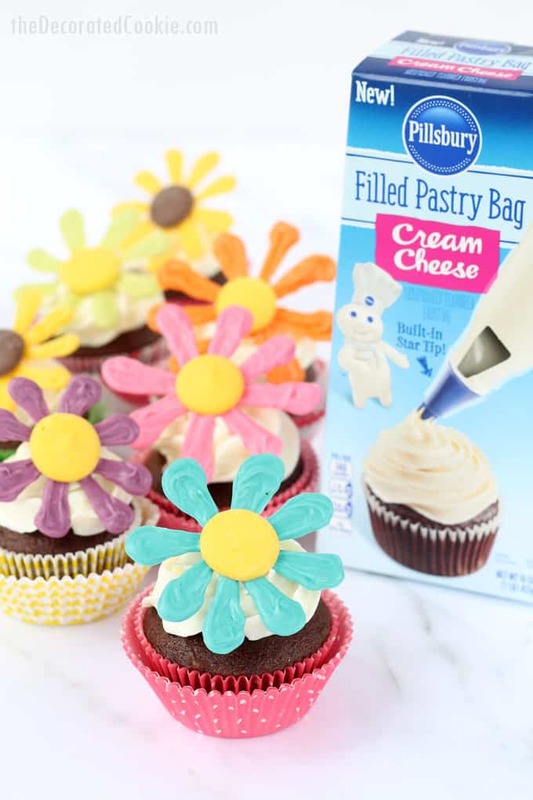 The new Pillsbury Filled Pastry Bags make baking a breeze. 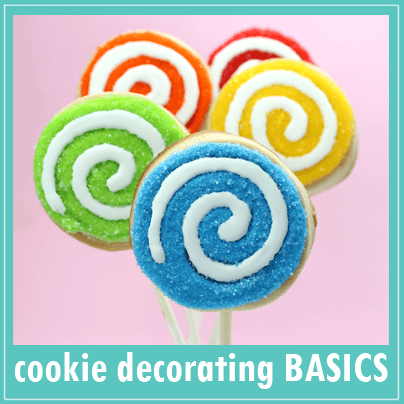 You can use the frosting on both cookies (next time, that’ll be my jam) and cupcakes. 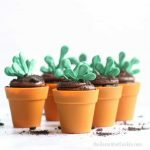 You can also use them to add decorations to the top of cakes. They come in three flavors: vanilla, chocolate, and cream cheese. They are new at Walmart and can be found in the baking aisle with the other frosting. 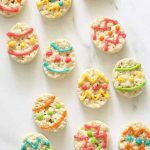 They are so easy to use and the frosting consistency is perfect for piping, so this is a great tool for kids interested in baking and decorating. I’m going to stock up and have my daughter decorate her own birthday cupcakes with these. 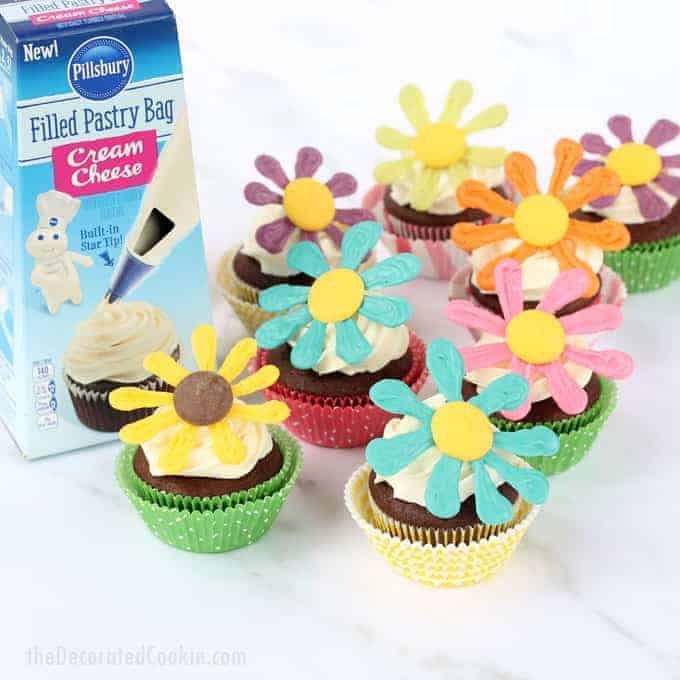 To create these flower cupcakes, I made chocolate cupcakes from Pillsbury’s cake mix, topped them with the cream cheese frosting filled pastry bag and made super-easy candy flowers to stick on top. 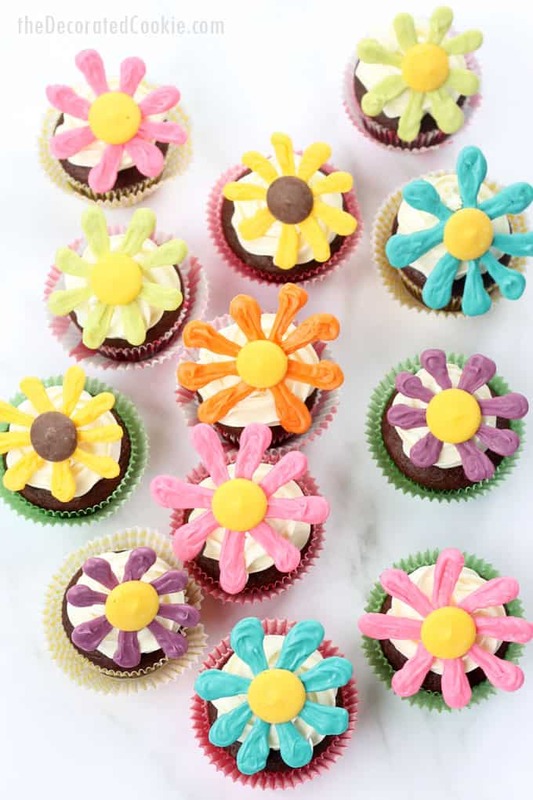 These cupcakes are colorful, impressive, and delicious from top to bottom. To use the bags, first rip off the plastic cover. This is easy. 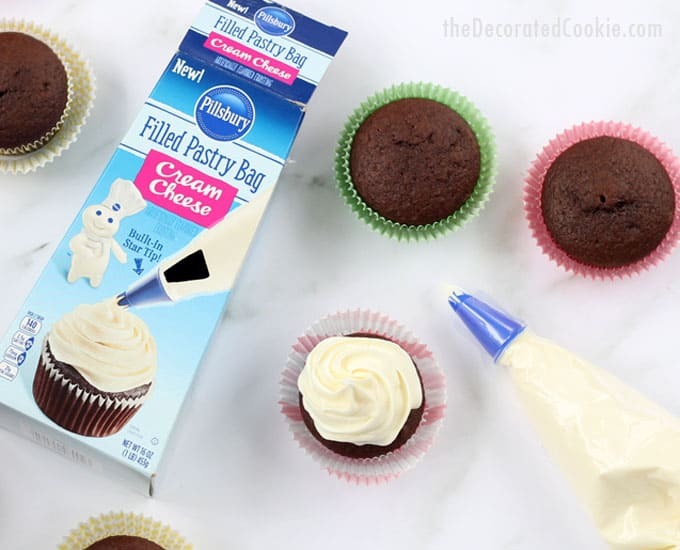 To pipe, I find that twisting the bag of frosting in the middle and holding the lower portion of the frosting lets you have more control with piping. Squeeze the bag with your dominant hand, steadying with your other hand, until a bit of frosting emerges from the tip. 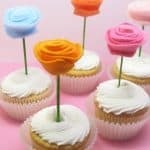 To pipe a swirl on a cupcake, start in the middle, move to the outer edge of the cupcake and circle back around to the middle. 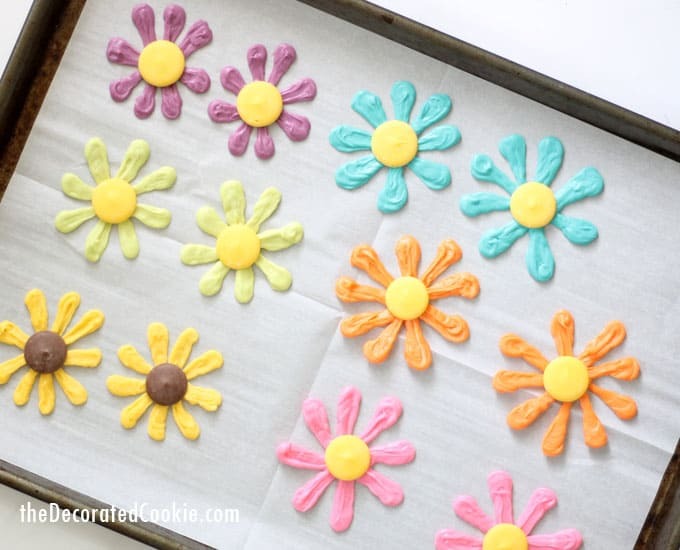 The consistency of the frosting makes piping easy. Kids should be able to do this with minimal, if any, assistance. If you are conservative with the frosting, you may be able to cover two dozen cupcakes. I was not conservative (I like frosting), so I dipped into a second bag. 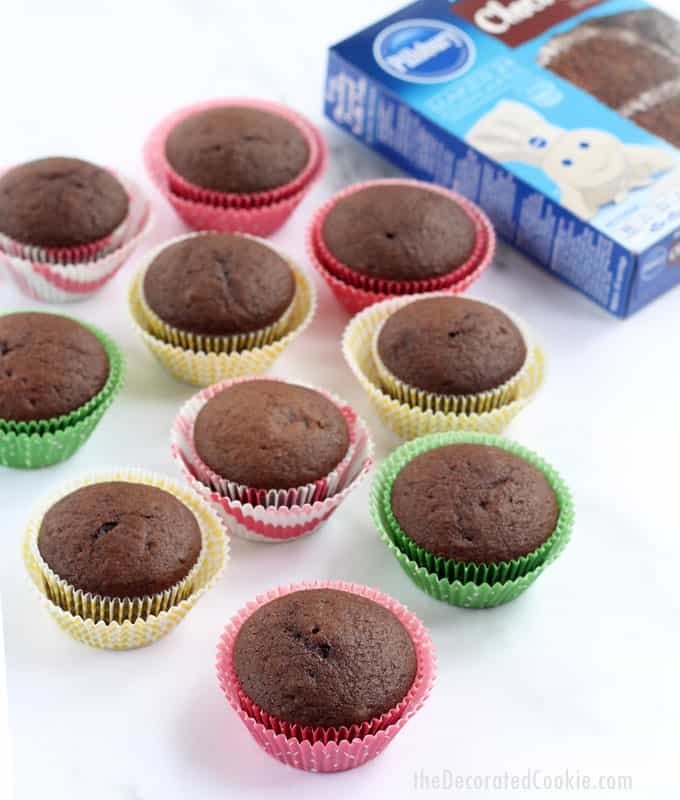 To be safe, I suggest purchasing two filled pastry bags for a batch of cupcakes. For best results, I suggest refrigerating the cupcakes right after piping. This will let the frosting set very well without losing its shape. Keep unused frosting, after opening, in the refrigerator. 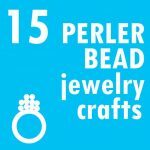 You may need to let it sit at room temperature for a bit before using again until it’s of easy piping consistency. *Find the cake mix and filled pastry bags at Walmart. 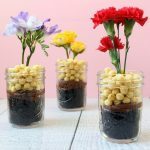 You may also find the candy melts and decorating bags at Walmart, or at a local craft store. Prepare your summer flowers. 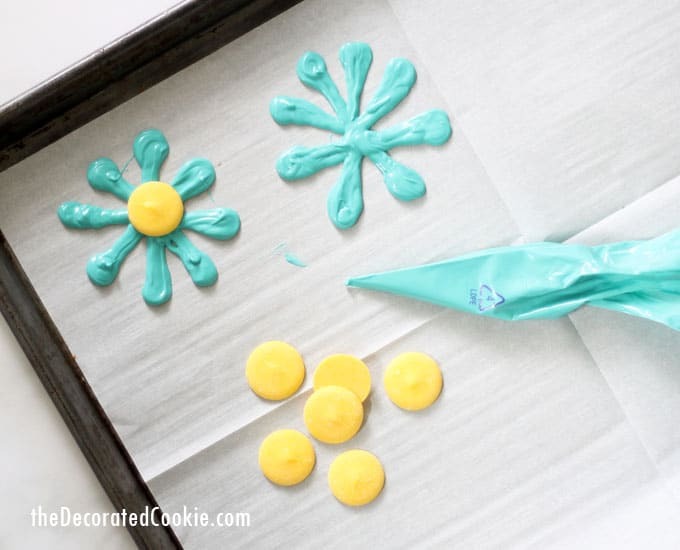 Line a baking tray with wax or parchment paper. Place about 1/2 cup of candy melts in a disposable decorating bag. Microwave at 70 percent power for 90 seconds. Massage the bag and continue to microwave for 15 second intervals until the candy is melted. Be sure they do not get too hot to handle! Snip the tip and pipe a flower design on the baking tray. Place an un-melted candy melt in the center. Let the flowers harden completely, at least an hour. 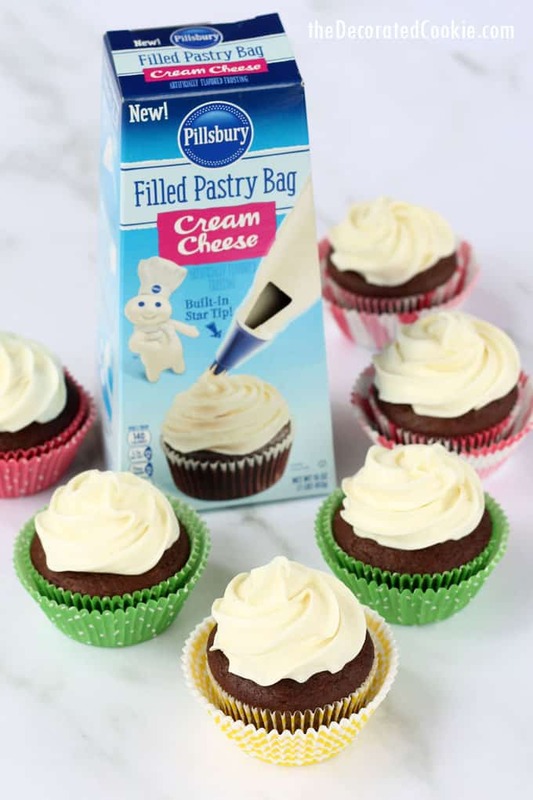 Use the filled frosting bags to pipe frosting on the cupcakes. 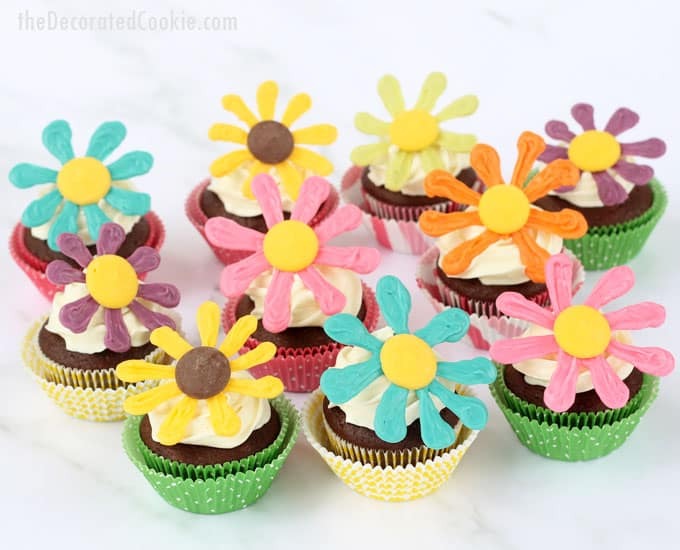 See notes above for tips on piping frosting on cupcakes. 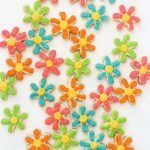 Top with the flower candy. 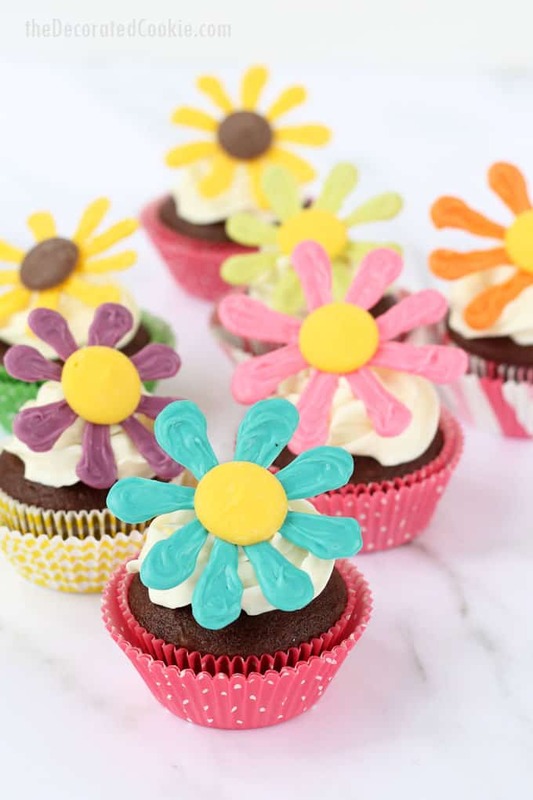 For best results, refrigerate your summer flower cupcakes to set the frosting well. 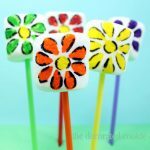 Prepare your summer flowers. 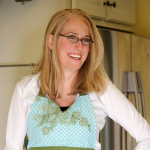 Line a baking tray with wax or parchment paper. Place about 1/2 cup of candy melts in a disposable decorating bag. Microwave at 70 percent power for 90 seconds. Massage the bag and continue to microwave for 15 second intervals until the candy melts are melted. Be sure they do not get too hot to handle! Snip the tip and pipe a flower design on the baking tray. Place an unmelted candy melt in the center. Let the flowers harden completely, at least an hour.